Do you have excellent content on your blog but find that your readers are not engaging with your content? Is your bounce rate unusually high because your readers quickly leave your blog after visiting? Do some readers comment they are having trouble reading or understanding your content or finding specific information on your blog? If this is happening to your blog, we have twelve quick tips that will help make your blog easier to read. These tips cover everything from design to formatting. The easiest fix to make your blog easier to read is to change your font for your blog. Stick to simple fonts you would find in a book for the important content of your blog such as your blog posts and navigation menu. 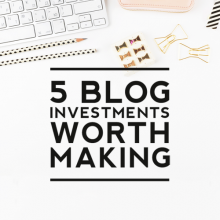 Use your fancy fonts for your blog graphics. Use classic fonts such as Arial or Georgia that have clear lines and minimal designs for the letters. When selecting a font color, contrast is key. If you have a light colored background, use a dark font color. If you have a dark colored background, use a light font color. Having a high contrast makes it easier to read. A black font or a dark gray font on a white background is a classic design choice because it is the easiest to read combination. This doesn’t mean you have to limit yourself creatively. If you want to add more colors to your blog posts or blog content, use colorful fonts sparingly for content you want to highlight such as headings or quotes or links or special notes. The recommended font size for online content is 10-12px. 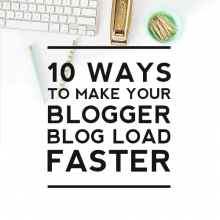 Anything smaller can lead to your readers squinting to read your blog. A new trend due to the increasing use of mobile devices is to use larger font sizes ranging from 14-18px. Experiment to find a font size that works with your blog design. Use larger font sizes for titles that you want to draw attention to such as your blog post titles or section headers. Have a background in a simple color or design. Using a white background is a classic choice for the best readability. Gradients or photos or patterns for your background design can create interesting blog designs but can make your content difficult to read. If you find your background is distracting your readers, consider simplifying the design by fading the design, making it a lighter/darker color to increase the contrast from your font color, or using less distracting colors such as neutral colors. Have space between your blog content. White spaces are the blank spaces on your blog where there is no content. One way of imagining white space is to divide up your your blog content into each separate area such as your blog header, navigation menu, blog posts, and sidebar. Now imagine there was no blank spaces between your content. 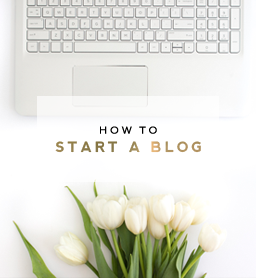 Your blog ends up looking cluttered and everything is more difficult to find and read. Have space between your content so that your readers can easily distinguish between the different areas of your blog and focus when reading your content. Keep your blog content in an easy to read width area. 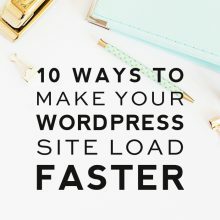 The increasing trend of screen-wide images and blog designs make for beautiful designs but your blog text and content should not be spread across the whole width of your screen. A good rule is to have your content be around 500-800px wide. Any wider and your readers will tire out before they finish reading a line and click away. Any narrower and your content will appear much longer and more intimidating to your readers. Do your blog posts or pages resemble a block of text consisting of one dense paragraph? If so, break up your blog content into sections or paragraphs. A wall of text can look intimidating and overwhelm readers. Most people are reading content online to easily digest information. Make your content appealing and easier to comprehend by organizing your content into different sections to encourage your readers to start and finish reading your content. A good rule is to have one idea per paragraph or section. If you are following the above tip, optimize your content to the fullest by using section headers. Each section header should summarize the main point of each section. Think of them as titles for each section. They help your content appear more organized and help your readers better navigate your content, understand your content, and easily find exactly what they are looking for. Use bullet points or numbered lists for short information or factual information. Separating your content into lines makes it easier to understand the information while also drawing attention to each line. A win-win for your content and for your readers. This is especially helpful when you have information that might lead to a reader scanning the information such as a summary. Draw attention to important information or the main point of your information by bolding or highlighting (hyperlinking, italicizing, using a different font color, using a different font size) your content. Help your important information always be read and remembered by making them stand out. Recent research shows most people scan information and only read about 20% of the presented information. Make your content easier to scan by highlighting the main points. Draw attention to your content and help increase reading comprehension by using visual aids. Visual content is processed quicker than text and easily lets your reader know what to expect from your content. Add a variety of visual content relevant to your content. A chart or drawing or video can mix things up and also provide more information about your content. Presenting your information visually can also help reinforce your main points. Remove distractions on your blog to allow your readers to focus on your content. Group similar content together into one area instead of having them scattered across your blog. Keep animations and moving images (gifs) to a minimum. Use flashy widgets such as site trackers or interactive maps sparingly. If it is distracting, consider moving it to a separate page on your blog, such as a separate page for your blog awards, to allow your content to be read with minimal distractions. 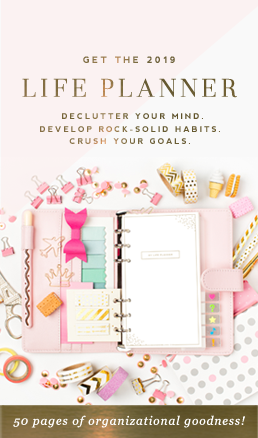 How many of our tips do you use or are planning to use on your blog? 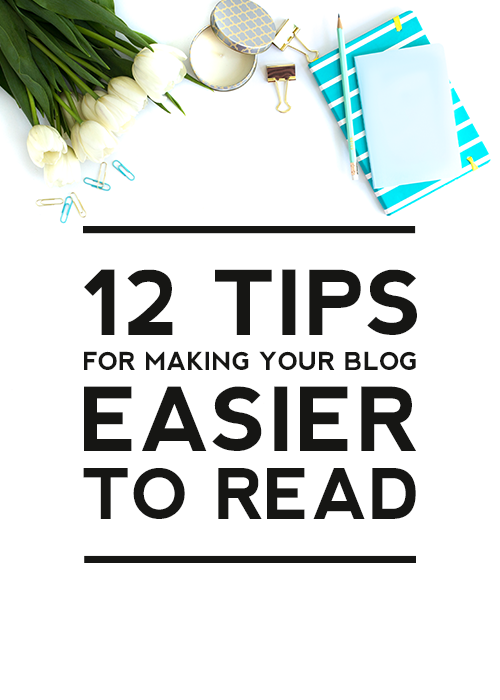 Are there tips you would recommend to make your blog easier to read that we haven’t covered? Share them below.